Andrew Hogarth – Lakota Spirit Booklet Now Online. First we had the 7,500 hardcopy books Light (1984) and Lakota Spirit (1992) that I published of Jack Little’s 10,000 word life story. Then fifty percent of the Lakota Spirit booklet text formed quotations that travelled for three years across thirteen states of the United States of America with the Powwow: Native American Celebration photographic exhibition from 2000-2003. 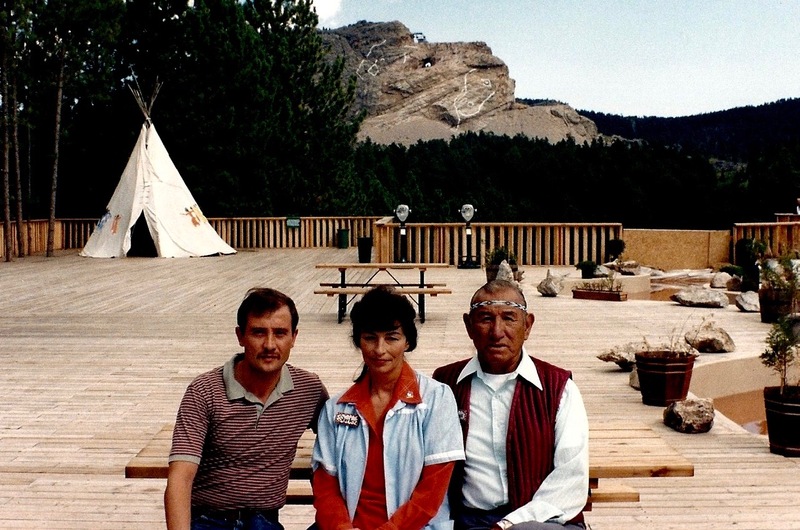 In music I wrote the lyrics for “Lakota Spirit” that celebrated Jack’s life for the Great Plains musical album. And just completed is the Lakota Spirit book text now up online for the wider world to enjoy, be inspired and hopefully educated about Lakota culture. A huge buzz all round! This entry was posted onWednesday, July 18th, 2012 at 5:45 am and is filed under AHP Book Publishing, Crazy Horse Memorial. You can follow any responses to this entry through the RSS 2.0 feed. You can leave a response, or trackback from your own site.